New research using ancient DNA is rewriting prehistory in India – and shows that its civilisation is the result of multiple ancient migrations, writes Tony Joseph. Who are the Indians? And where did they come from? In the last few years, the debate over these questions has become more and more heated. Hindu right-wingers believe the source of Indian civilisation are people who called themselves Aryans – a nomadic tribe of horse-riding, cattle-rearing warriors and herders who composed Hinduism’s oldest religious texts, the Vedas. The Aryans, they argue, originated from India and then spread across large parts of Asia and Europe, helping set up the family of Indo-European languages that Europeans and Indians still speak today. As it happens, many 19th Century European ethnographers and, of course, most famously, Adolf Hitler, also considered Aryans the master race who had conquered Europe, although the German leader considered them to be of Nordic lineage. When scholars use the term Aryan, it refers to a group of people who spoke Indo-European languages and called themselves Aryans. And that is how I have used it in this article. It does not refer to a race, as Hitler used it or as some in the Hindu right wing use it. Many Indian scholars have questioned the “out of India” thesis, arguing that these Indo-European language speakers – or Aryans – were possibly just one of many streams of prehistoric migrants who arrived in India after the decline of an earlier civilisation. This was the Harappan (or Indus Valley) civilisation, which thrived in what is now north-western India and Pakistan around the same time as the Egyptians and Mesopotamians. 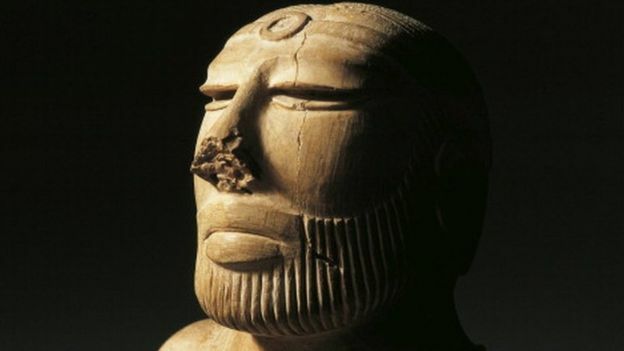 However, Hindu right-wingers believe the Harappan civilisation was also an Aryan or Vedic civilisation. Tensions between the two groups backing these opposing theories have only increased in the last few years, especially since the Hindu nationalist Bharatiya Janata Party (BJP) came to power in India in 2014. Into this long-running dispute has now stepped the relatively new discipline of population genetics, which has started using ancient DNA to figure out when people moved where.